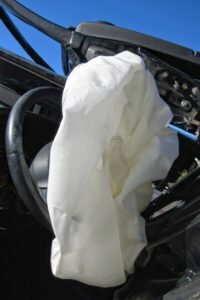 Rainy weather, auto part defects, negligent road maintenance – all of these factors contribute to fatal accidents every year. Unlike these hazards, though, the most common causes of deadly collisions are entirely in the driver’s control. For example, drunk driving is the culprit behind a deplorable number of deaths on U.S. roads, yet all of these tragedies could have been prevented if the drivers had behaved responsibly. In 2014, 9,967 people were killed in crashes involving an impaired driver, according to the National Highway Traffic Safety Administration. In Kentucky, 2,041 people were killed in alcohol-related accidents between 2003 and 2012, according to the Centers for Disease Control and Prevention. If you were injured by a drunk driver, you may be entitled to compensation for medical bills, lost income and other damages. If your family member died due to an intoxicated motorist, you may have grounds for a wrongful death lawsuit. Matt Troutman is an accident attorney in Louisville who will evaluate your case to determine if you have grounds for a claim. Mr. Troutman will help you pursue the maximum settlement, and if your case goes to trial, he has the litigation experience and resources to represent your interests in court. Call to schedule a free case evaluation at the Troutman Law Office. A BAC of 0.08 is over the limit for drivers aged 21 and older. 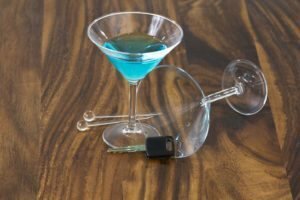 A fourth DUI is a class D felony that may come with a 60-month license suspension and at least 120 days in jail – with an extra 240 days if there are aggravating circumstances. Despite the harsh penalties of driving under the influence, far too many motorists in Kentucky still choose to get behind the wheel after consuming alcohol. If you were injured by an impaired driver, Matt Troutman will help you pursue justice and compensation. Mr. Troutman is a personal-injury lawyer in Louisville who will handle the legal aspects of your claim so you can focus on recovering from your injuries. Call to schedule a free case evaluation.